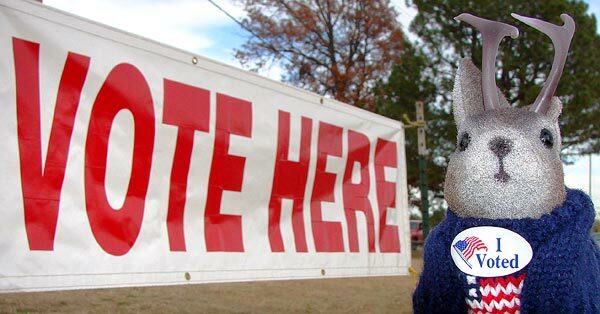 Voters in many states can vote early in the Presidential election. If you want to beat the November rush, here's more information as to how to do so in Kansas and Missouri. Here's a Wall Street Journal article on early voting in general. I'll be curious to see what the figures on early voting among Democrats turn out to be. 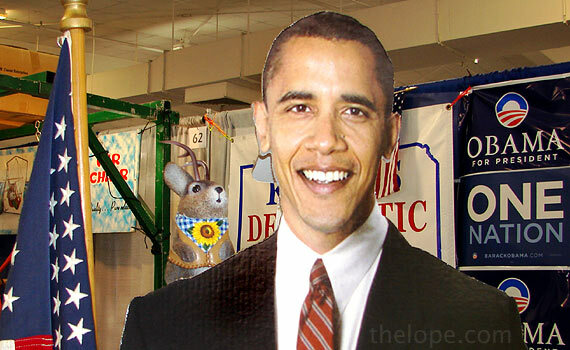 If it's any indication, attendance was unprecedentedly large in Joplin, Missouri, traditionally a conservative town, for the opening of the Democratic campaign headquarters. I'll be interesting to see how early voting works out for Democrats in Kansas, too - traditionally a Republican state. 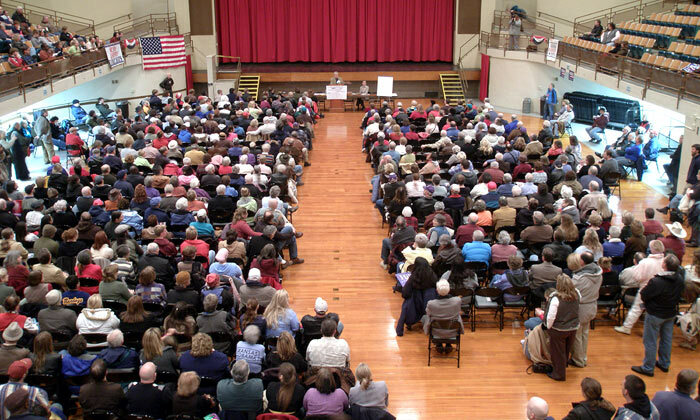 It may be rather high, if the large turnout for the Reno County Democratic Caucus this Spring (above) is any indicator. 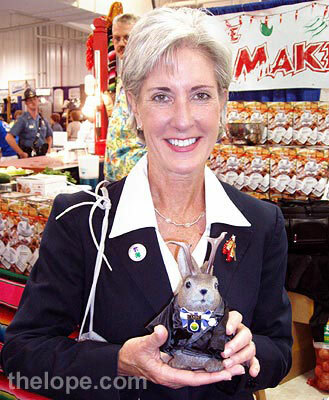 Kansas is an interesting state, politically, what with a Democratic governor who enjoys support among Republicans and doesn't mind posing with jackalopes. Ace cannot help but notice his name is not on the ballot - an unfortunate oversight, no doubt. 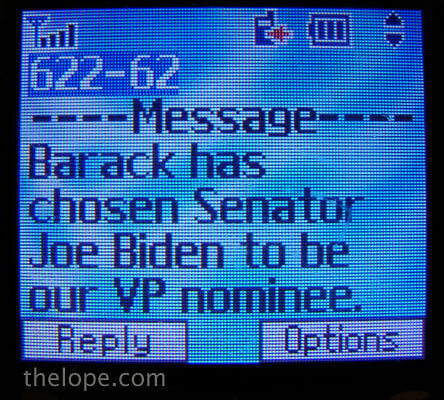 And if you must have a human candidate (opposable thumbs are good for texting), the one whose Vice President doesn't shoot animals from helicopters is preferable.